The Blue Lagoon, with its highly instagram-able steaming blue waters. 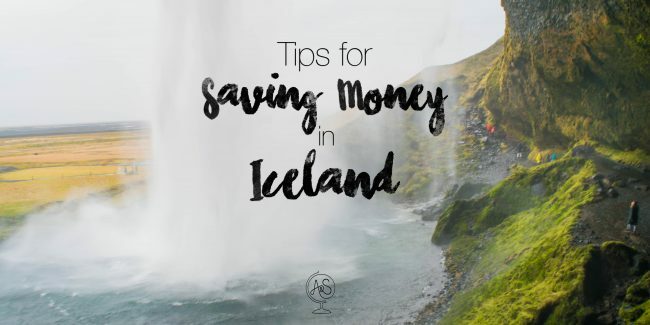 When we were planning our trip to Iceland, there was a split second where I considered it. However, shelling out $100, plus other a la carte charges (for things like towels) just to bathe with hundreds of others in a man-made pool filled with the run off from the geothermal plant next door seemed far from worth it. Ultimately, it seemed like too much of an overcrowded tourist trap, especially when I spoke to several locals that confirmed this. What I set my eyes on instead were the abundance of naturally occurring geothermal pots nestled within nature with exquisite views of dramatic mountains, rushing waterfalls or babbling streams. Best of all? These are free! However, with the recent tourist boom, some are now charging or altogether closing down because of a few reckless individuals. Before I begin, I have to say that unfortunately, we didn’t visit several of the other ones that were on my list because we were told by locals and visitors alike that they had become trashed by tourists carelessly leaving behind cigarette butts, beer cans, food wrappers and the like. This makes me incredibly sad to hear. Iceland is incredible for its lush and pristine landscape and I personally saw trash in some of the most beautiful places, people walking all over the delicate moss, camping any and everywhere and actual signs that had to be put up asking visitors not to litter or defecate. We did all we could and picked up trash as we went and always strived to leave a site as we found it. It is within all of us to keep not only Iceland, but our entire planet intact and undamaged. Ok, so now on to these incredible hot pots and springs. The first one we visited was Fosslaug. Situated by a river feeding a waterfall, this was such an idyllic location with the most sublime temperature. Fosslaug is by the town of Varmahlíð in the northern part of Iceland. Drive on road 752 then turn on road 753. GPS coordinates: 65.499227, -19.379773 park here then walk through the gate (closing all the gates as you go) and follow the path towards Reykjafoss. Cross the bridge just after the fall, walk past the fall itself and the hot pot is located beyond the small grassy hill. Hellulaug is located right on the beach and is where I spent the better part of my birthday morning and afternoon. This hotpot is located in Vatnsfjörður on the southern coast of the Westfjords right before you reach Flókalundur hotel and restaurant. If you’re coming in to town, it is located on your left, right by the water. Finally, Reykjadalur is well worth its 2.5 mile hike up the mountain. This hot river has hotter temperatures in the back with cooler temperatures in the front. Drive east from Reykjavík towards Hveragerði. The trailhead is located at the Hot River cafe beside the parking lot.